Cathie will be talking about machine quilting with a long arm quilting machine. We will be quilting / practicing our machine quilting on our charity quilt tops. Barbie will be directing us in our yearly Charity night sewing We will be sewing 9 patch blocks to make an irish chain quilt blocks. Feel free to bring 9 patches finished and ready for setting. Some sewing machines might be needed- more information will be sent out prior to the meeting. Scrappy 9 patch blocks using low volumes. Have no idea what that means, no worries, we found a great tutorial. You can strip piece and do a bunch of blocks or just make one. We’re using 2.5″ squares and making a 6.5″ unfinished block. We’ll also need some 6.5″ low volume blocks. Bring any finished blocks to our weekly meeting. 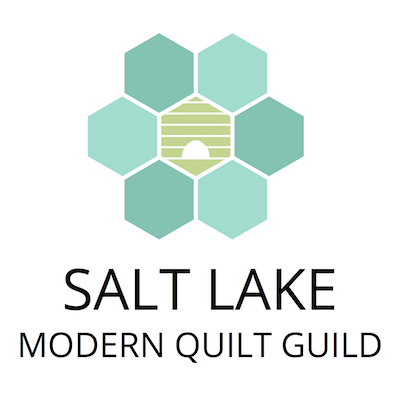 August Meeting 2018 – Mini Quilt Swap night! We will have a fun game, swap and fun! You are welcome to come even if you aren’t swapping a mini! It’s always a fun night and a great way to get to know others. 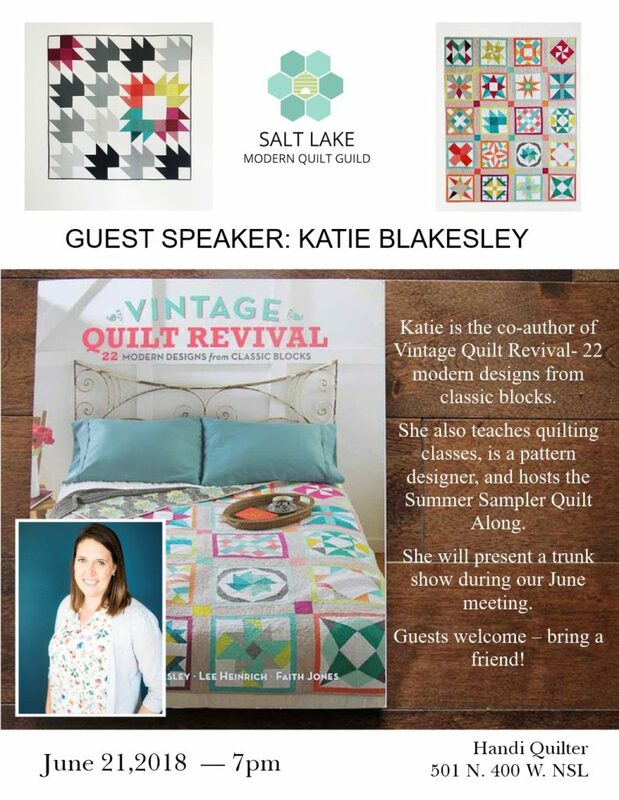 show & tell theme: improv quilts – bring your English Paper Piece projects. Bring the one that we started in May or something that you have completed earlier. The yearly fabric dye and lunch is this month! We will supply all the dyes you’ll need for your experiments. There will also be twine, bottles, rubber bands and ties to use. Please feel free to bring whatever supplies you’d like to use as well. This activity will also include a luncheon – details will be announced prior to the meeting. Information and directions will be sent out prior to the meeting. Join us for a guest and trunk show. The evening will be filled with stories, quilts, and inspiration.